A large number of top foreign TV journalists have resigned from TRT World, the flagship English language international channel of Turkey’s state-run broadcaster. “As many as 16 well-known foreign international names have quit TRT World, and Qatar’s Al Jazeera with China’s CGTN have poached them,” said the source, speaking on condition of anonymity. It is understood that nine of the foreign journalists have gone to Al Jazeera while another eight are headed for CGTN, China’s English language international news channel. Former editor in chief of pro-government Daily Sabah, a paper printed in English which is widely seen as the mouthpiece of the Turkish government, Serdar Karagöz was appointed as Head of International News Channels at TRT last October. TRT World and TRT Arabic are two international news channels under Karagoz’s editorial ruling. Karagoz is a staunch supporter of President Recep Tayyip Erdogan and one of the constant figures on the president’s plane during official foreign visits. It’s widely believed that the new management’s editorial bias over operations has prompted foreign journalists to look for other options and opened the door to the likes of Al Jazeera. There has been no announcement made by TRT management on recent resignations yet. TRT World, aiming to capture a worldwide audience, was launched in May 2015. İbrahim Eren, then deputy general director of the national broadcaster, was promoted to the top of TRT after he had established TRT World by pouring a spectacular budget of more than $250 million dollars. Eren is also known for his close ties to Erdogan’s family as he was a classmate of Turkish President’s son Bilal Erdogan at Islamic vocational high school. 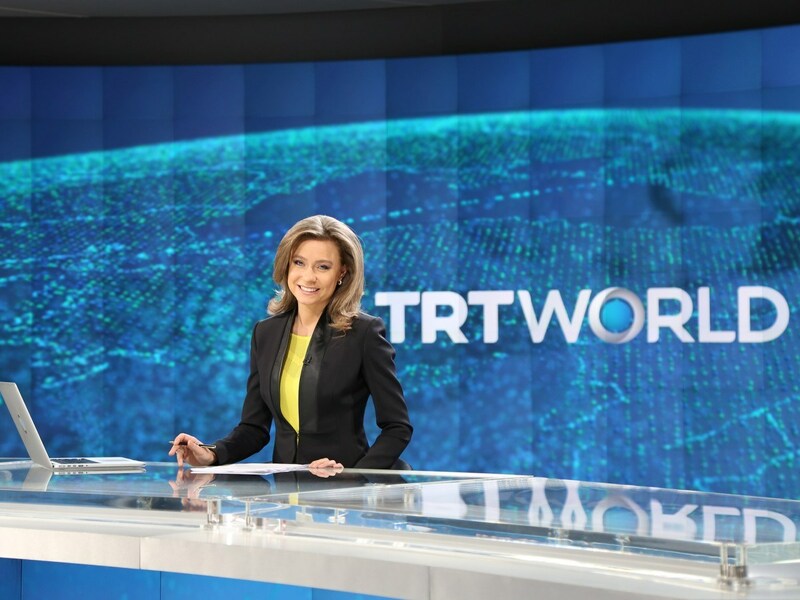 Though TRT World has aimed to reach out a worldwide audience via its satellite, cable and other network broadcasts, it has been criticised since it was launched with its unbalanced editorial approach on both domestic and international issues. The channel management has set up foreign bureaus at global hubs and offered quite generous salaries to international names just to convince them to work for TRT. There had been resignations amid foreign journalists in TRT World before, but the recent one is deemed to be the largest in the channel’s history. Beside a turmoil among foreign journalists, TRT sacked 460 Turkish journalists in the wake of the coup attempt of July 2016. “A further 1,774 left the organization as a result of an early retirement incentive offered by the government following the recent presidential election in June 2018,” Turkey’s Vice President Fuat Oktay said, responding to parliamentary questions that were asked in last December. TRT is paid by public electric utility bills and tax stamps on electronic devices with radio and TV transmitters. The national broadcaster receives at most 15 percent of its budget through advertisements. With the new regulations declared after the presidential election on June 24, 2018, the Turkish President has become the ultimate power over the national broadcaster which according to its charter should be an impartial public broadcast corporation. During the campaign for last year’s presidential and parliamentary election, a few hundred members of the İyi Party staged a protest outside the broadcaster’s offices in Istanbul’s upscale Ulus neighbourhood, where TRT World is also based. The protest was to complain about the lack of coverage given to opposition parties in the run-up to the election.